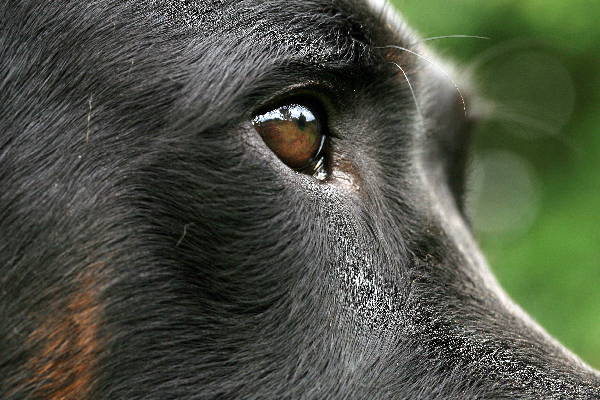 The post Can You Use Human OTC Eye Drops as Eye Drops for Dogs? by Melvin Peña appeared first on Dogster. Copying over entire articles infringes on copyright laws. You may not be aware of it, but all of these articles were assigned, contracted and paid for, so they aren’t considered public domain. However, we appreciate that you like the article and would love it if you continued sharing just the first paragraph of an article, then linking out to the rest of the piece on Dogster.com. Couldn’t you just use your basic human over-the-counter eye drops as eye drops for dogs? Well, the active ingredient in Visine is Tetrahydozoline hydrochloride, which narrows the eye’s blood vessels. If your object is to dislodge a bit of mobile debris from your dog’s eye, drugs of any kind are not called for. Use human eye treatments only if and when you get veterinary approval. If you have half an hour or so, you can even make your own saline eye wash for a true home remedy! You might be tempted, as I was, to grab your own over-the-counter eye drops out of instinct or force of habit. According to Dr. Kathryn Primm, however, “you will have done nothing to address the reason” for the dog’s ocular discomfort. Basic saline solution and cotton balls, the kinds you can get for about $4 to $5 total at your nearest drug store, constitute a safe and reliable preliminary approach. If the symptoms persist, the discharge takes on the look or scent of pus, and you notice your dog pawing at their face frequently, seek a vet’s advice before turning to medicated eye drops for dogs — or any sorts of washes or ointments. As Dogster‘s own resident veterinarian, Dr. Eric Barchas has written, “allergies are not a terribly common cause of eye problems in dogs.” Nonetheless, they can occur, and, like my own dog’s eye health issue, tend to be most frequent in the summer months. Like the two conditions we’ve described above, inflammation, redness and watery discharge in one or both of a dog’s eyes might be the result of an environmental allergen or irritant. Dr. Barchas also notes that the vast majority of canine allergies are, in the first place, caused by fleas, and, in the second, manifest themselves in irritated skin and relentless scratching. Have you started using a different kind of cleaner in the house? Just switched to a scented cat litter in a room where your dog also spends time? Did you just give your dog a bath using a new shampoo? For dogs dealing with a newly arisen eye problem, try to rule out external causes before potentially causing the dog extra difficulties with medicated eye drops or washes.